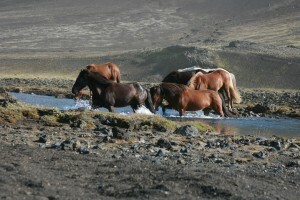 This four day tour is comfortable for most people that have some experience of horseback riding. 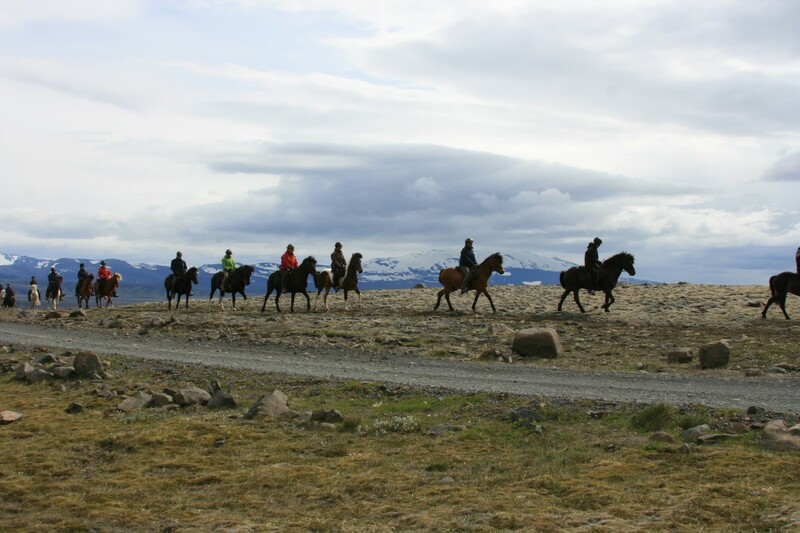 In this tour we both stay in our nice guesthouse in Steinsholt and in a classic Icelandic mountain hut with sleeping bag accommodation and enjoy the great Icelandic nature all the time. Purchasing guests are encouraged to study well what is, and what is not, included in the price. Guests are picked up in Reykjavík bus station (BSÍ) at 18:00 and driven to Steinsholt where we have dinner and study the travel plan together. In Steinsholt there is a cozy guesthouse and a nice hot tub. 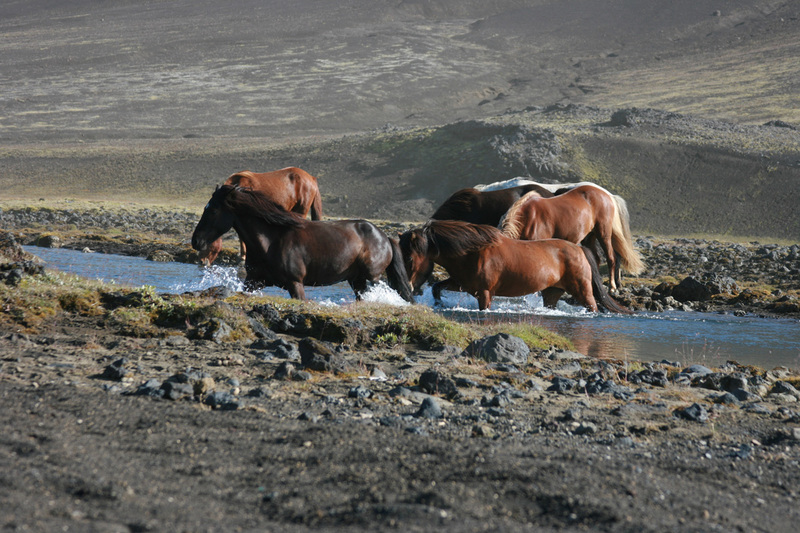 This day we will be riding around Steinsholt and ride up along river Þjósá which is the longest river in Iceland. We see the waterfall Búði (in Þjórsá) and many other beautiful places in this area. 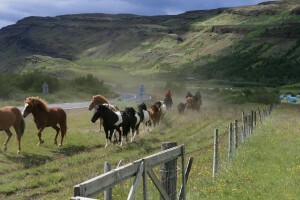 We ride from Steinsholt and head to Þjórsárdalur valley. 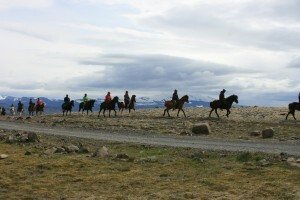 We ride up along Þjórsá where both the landscape and the history is formed by volcano Hekla. Our endpoint is the mountain hut Klettur where we stay for two nights. 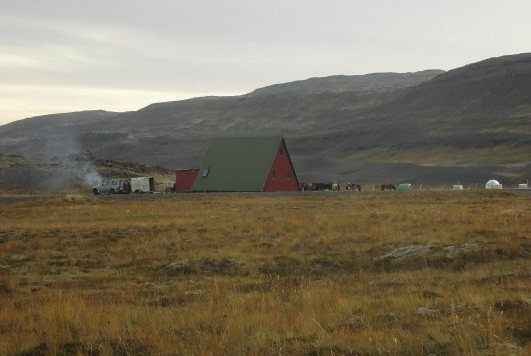 Klettur is a classic Icelandic mountain hut, without both electricity and hot shower. We keep travelling around in Þjórsárdalur and, among other, see Hjálparfoss waterfall in river Fossá before we head home to Steinsholt.The day ends with a dinner in Steinsholt where we relax and enjoy ourselves together. 07 th of June to 12 th of June.